A waterproof wearable device is made by Fitbit for tracking health conditions while sleeping. The SpO2 sensor is incorporated inside the device which informs its Fitbit Labs Sleep Score beta program. Fitbit launched its wearable health tracker on 8th October, and it’s a rage. It is said to track all breathing problems and is available for a limited time. This new device in the market by Fitbit will only be available for a limited period of time; that too, in specific countries. The device will be made available for buying for the qualifying Fitbit users in Australia, The United States as well as the United Kingdom. It is said to signal health problems with ease. The device is packed with advanced features like the newly updated fitness and health sensors as well as algorithms. The device houses a fairly huge touchscreen display screen with a battery life of about seven days. It is also waterproof, making it fit and apt for usage at all times. 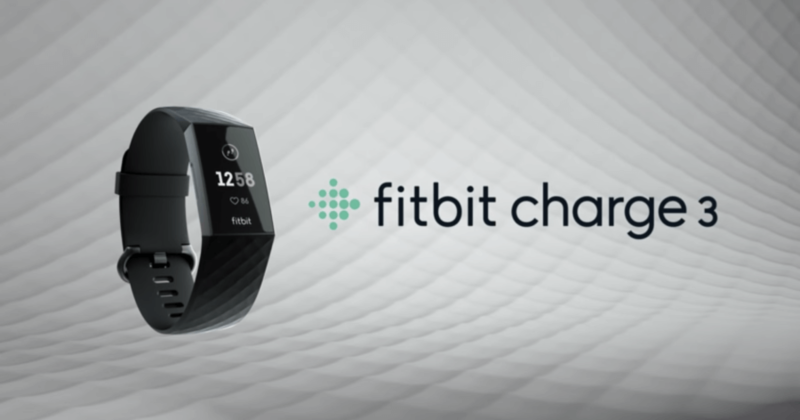 Fitbit, the San-Francisco based company’s Charge 3 has a pre-ordering rate of $149.95. It incorporates the SpO2 sensor inside it which informs its Fitbit Labs Sleep Score beta program. Fitbit’s CEO James Park was heard explaining that the data from the sensors in the device will be fed into Fitbit Labs Sleep Score beta. This would allow the device users to know their body metrics like breathing disturbances and the sleep quality better. Once they have the FDA approval, this data can be made use of to detect serious health conditions as well, for example, conditions like sleep apnea. With more than 15 exercise modes, swim tracking, health dashboard, female health tracking, automatic Sleep Stages & Sleep Insights, it definitely counts as the best-known health tracker till date. It can be considered as a great all in one health and fitness device by Fitbit giving the best and updated health tracking. It is a waterproof device. Which means, it can be worn during swimming as well. It has a well-fitting design and body which makes it comfortable to wear. It carries high durability. It consists of many features and thus, is responsible for enhancing the user’s experience with the device. It is lightweight hence easy to carry around. It has up to 7 days of battery life. This implies that it requires less frequent charging, thus ensuring more tracking your health! The Fitbit Charge 3’s sleep tracking ability will be available from November 2018. Fitbit says that Fitbit Charge 3 helps people know their body and understand their health so they can take action to improve themselves. Their official tweet also claimed that till date, Charge 3 has been their most innovative tracker. It features their most advanced tracking and sensor technology. With its fantastic sensor algorithms, this device can be known for its excellent job. The device has a number of other improved features like the weight of the device has come down by about 20%. The measurement of heart rate has become more accurate in Charge 3 as compared to Charge 2 and the processing speed has been enhanced too. The new device sure has some great advancements and carries with itself a great potential to benefit the healthcare sector.